This last week was great. We went to two baseball games, and got back into backyard living again. Spring is the best. 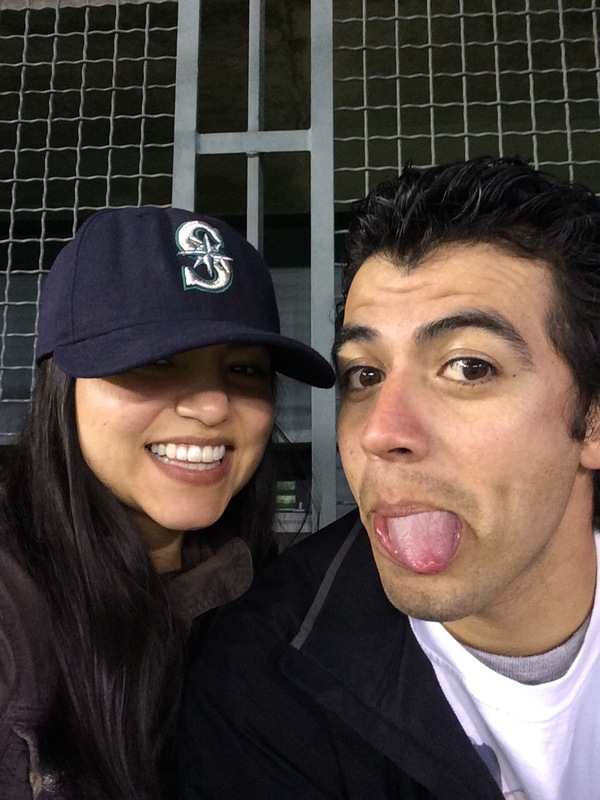 A selfie of me and the hubs at opening day for the Mariner’s. This was taken at the Friday night game. I could not believe what a gorgeous evening it was. Don’t worry, I didn’t spend the whole night staring at the view. We LOVE food. My hubby had his hands full with “dirty tots” and fried cheese curds in this photo. The dirty tots have cheese, pork belly and pickled peppers. The fried cheese curds have pickled peppers and honey drizzled over the top. Best part of these delicious eats? This is all local stuff; ie Beecher’s cheese, Carlton Farms pork belly, Bay Valley pickled peppers, and Ballard Bee Co. honey. You can find this at Swingin’ Wings in “The Pen”. 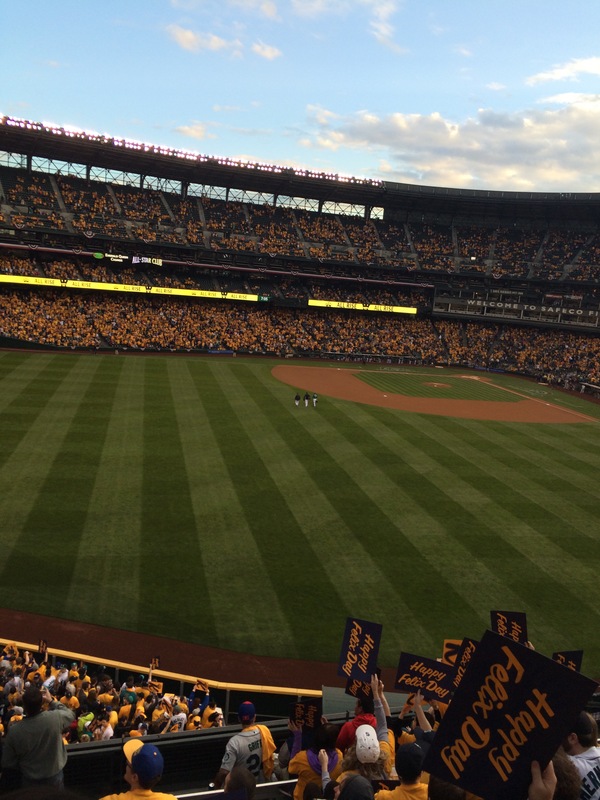 That Friday night game was all about Felix Hernandez and he did not disappoint. We left with a W aaaaaand a new t-shirt. 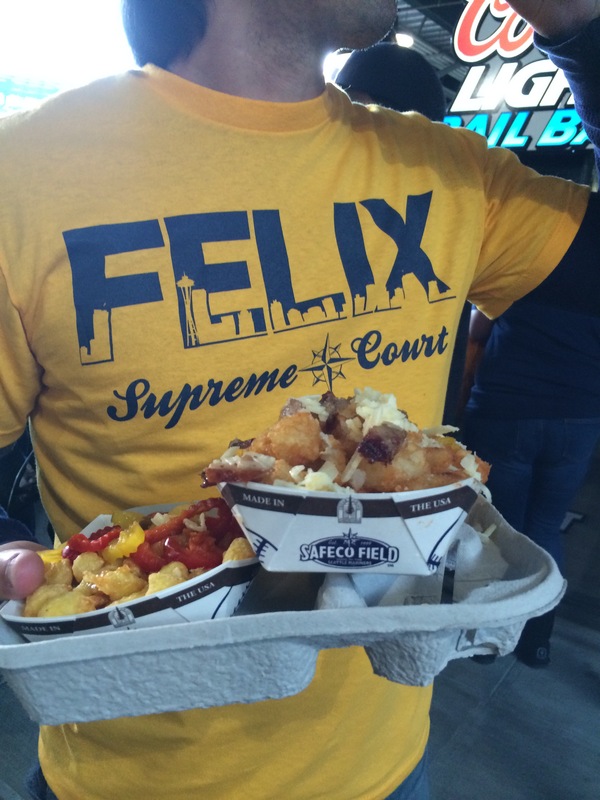 Look at all that gold for King Felix! 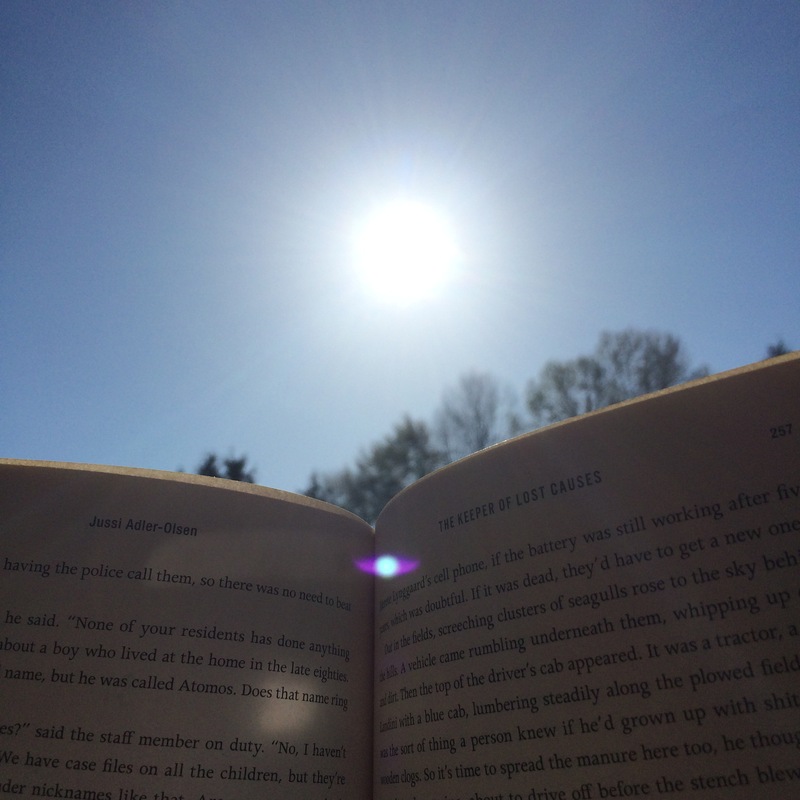 One of my most favorite things about better weather is basking in the sunshine while enjoying a good read. 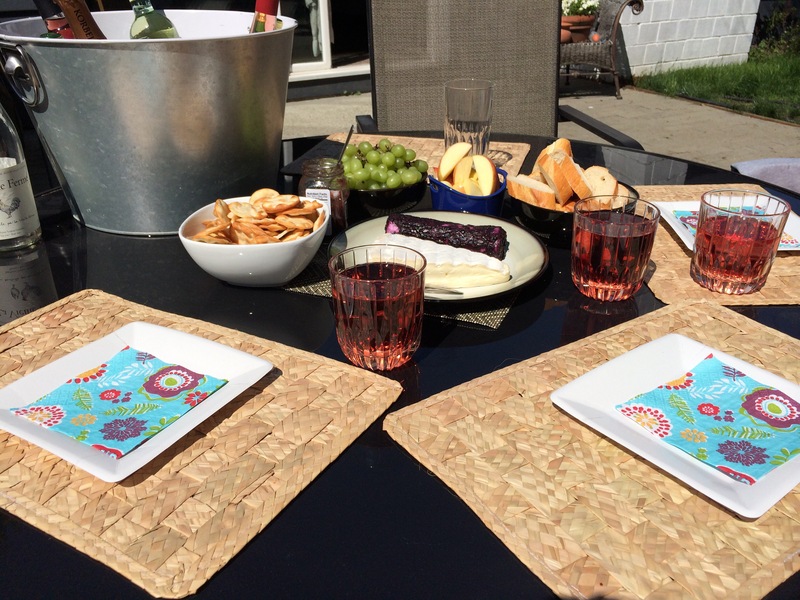 Another favorite pastime in warmer weather…entertaining friends at home. I had my best girls over to discuss backyard ideas and there was a whole lot of wine, cheese and laughter. It’s all about keeping it simple when it comes to spending quality time with friends. 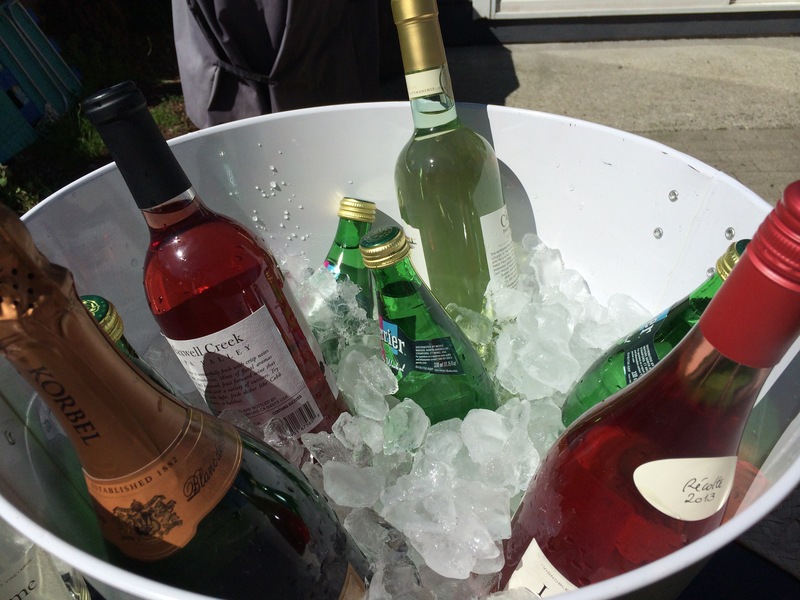 We opted to keep our girly drinks like rose, champagne and Perrier on ice right there at the table with us. That’s our spring so far. I hope that the spring weather has come your way and that you are enjoying it. We still have some rain to get through before our forecast is all sunshine, so until then, I’m making the most of each sunny day. OMG! Marvin cracks me up! He loves to eat, that’s for sure! That made us hungry and we’re are doing so well as far as eating healthy. 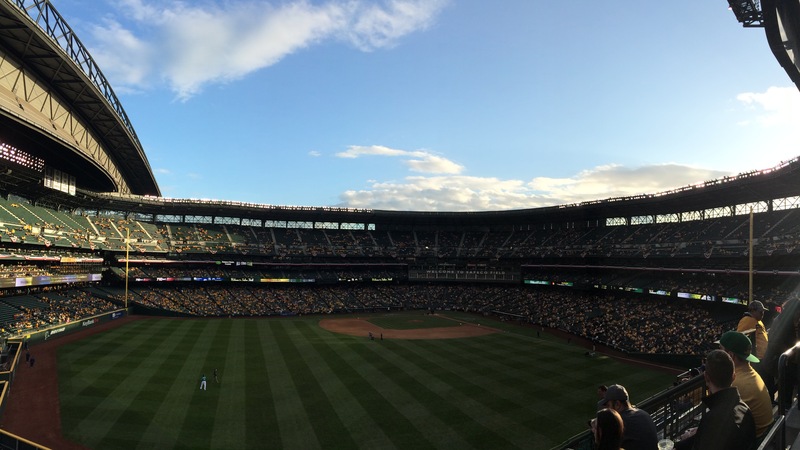 My gosh, the sky looked beautiful for opening day of baseball! Glad you girls had a good time and I’m sure you girls came up with some good stuff for your garden.